I am very pleased with quickbooks and the ease of use. I lik ..
Prices Exclude VAT QuickBooks Pricing in Ireland from AxonWare. Get QuickBooks Desktop Pro 2019 1 Yea. Order Online from the leading QuickBooks Discount Reseller in Dublin Ph:+353-16535178. Best place to Buy QuickBooks. QuickBooks Desktop 2019 is now available on subscription. QuickBooks Pro is a financial accounts package for small or medium sized business. It is very widely used in UK and Ireland. Pro desktop handles multi-currency accounting, is multi-company at no extra charge and multi-user ready. QuickBooks has a lovely interface and is an easy to use product packed with functionality. Increase your productivity significantly with Multi-Monitor support which allows you to use QuickBooks Desktop on up to three monitors. 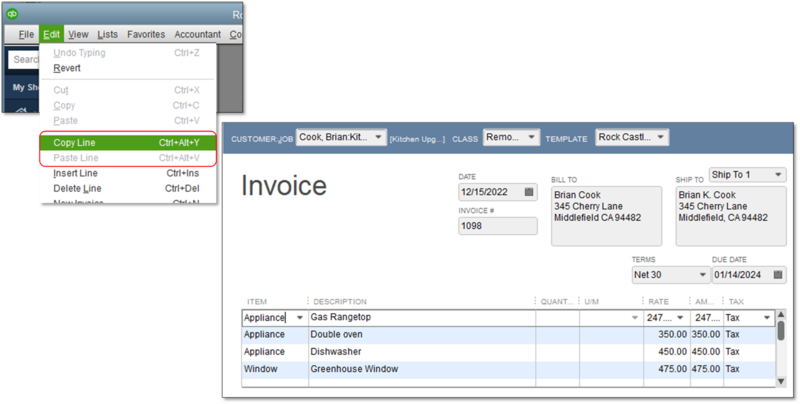 Now you can place your customer list on one screen while creating invoices on the second or third. Tailor your monitor setup to your work style and gain more insights from being able to view more reports at the same time. Find an account or sub-account faster with an added search bar in the Chart of Accounts. You can search by account name or account number making large Chart of Accounts easier to manage. Analyze your business from different angles in the same report. With just one click in the report window you can switch to a cash or accrual basis and easily switch back and forth between the two. It’s great for accountants or businesses that report in one basis and file taxes in another. Note: This feature is not available on all reports. Get customers to pay you faster with a Past Due stamp for invoices. QuickBooks can automatically add a past due notice on overdue invoices for emailing or printing. 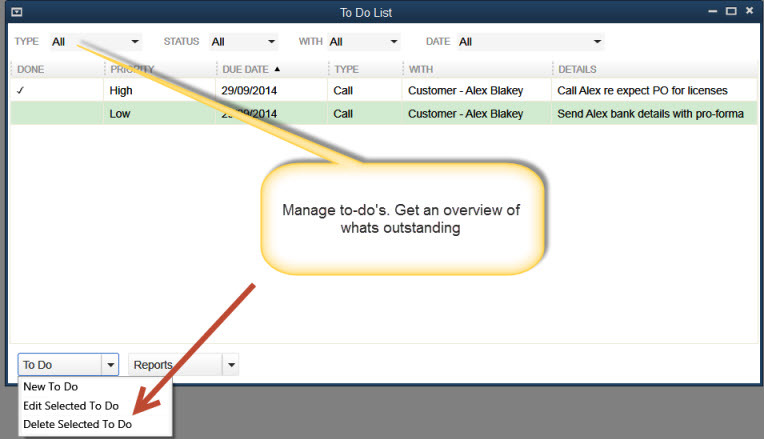 If you don’t want to add the notice to a specific invoice, simply toggle the notice off with one click. 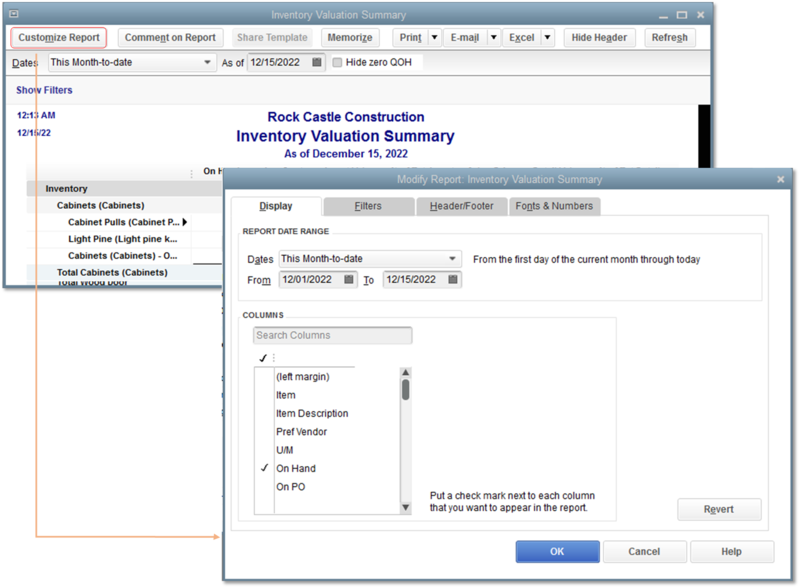 Add flexibility and insight to your business with newly customizable inventory reports and get better tracking of your inventory with additional fields. Be a lot more efficient by using keyboard shortcuts when copying and pasting lines in an Invoice. Use Ctrl+Alt+Y to copy a line and Ctrl+Alt+V to paste a line on an invoice. For a complete list, see Keyboard shortcuts for QuickBooks Desktop functions. 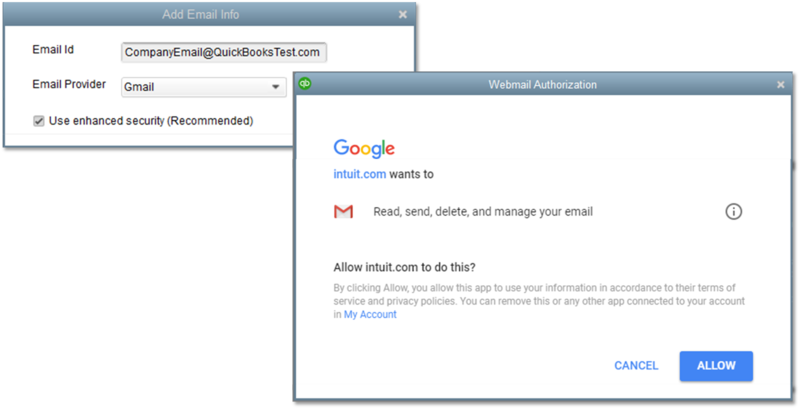 Enjoy the updated security with improved multi-factor authentication when sending emails from Gmail, Outlook, Hotmail and Windows Live through QuickBooks Desktop. The QuickBooks Lead Centre is a fast, efficient place to log every lead your business gets. Whether it's a stab in the dark or a dead cert, it helps you follow up every single opportunity. Entering customer and supplier Invoices in QuickBooks is very easy. We like the memorised transaction facility (so you can automate many tasks). As well as complete time and job-costing accounts, it offers the ability to generate estimates and also a proforma invoice. There is a great budgeting feature in QuickBooks - backed up by useful variance analysis reports. QuickBooks brings improved VAT management with a selection of VAT codes for the UK and Ireland as well as the ability to add whatever VAT codes or VAT agency (eg Collector General) that you want. The layout of templates (PO, Estimates, Invoices, Statements) can be customised easily. If you want you can add your logo or even choose a different invoice format depending on the type of customer you are quoting/selling to. There is good integration with MS Excel for export and import of data. This product is ideal for any growing business and very easy to set up. The interface is very intuitive and easy to use. QuickBooks is remarkably flexible (e.g you can delete a transaction) yet at the same time you can lock down specific parts of your accounts (close periods or stop someone from accessing sensitive areas). Designed for SMBs with up to 5 users actively working on a company file at any one time. You need to buy a license for each user. Many accounting practices use QuickBooks because there is no restriction on the number of client companies they can set up. Some very reputable firms are using it. Volume licensing available from AxonWare. AxonWare can also provides onsite training and/or web consulting - to help you get up to speed quickly. QuickBooks comes with an integrated PDF writer - so you can email invoices and statements to customers. It also allows you to print advice slips easily. With QuickBooks you can really keep your finger on the button. With a variety of genuinely useful financial reports to help run your business e.g. 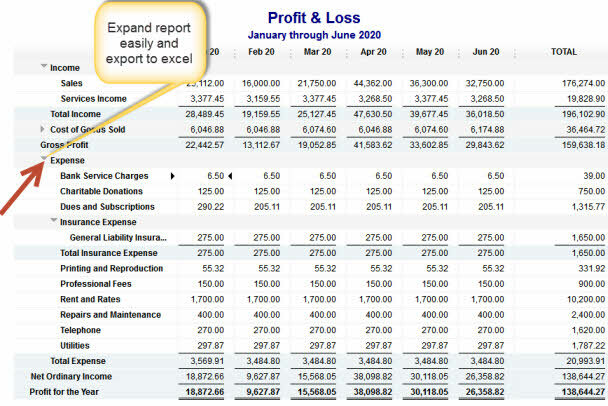 run a Profit & Loss for the period report - toggle between accruals or cash basis . Run a P&L month to date report, tick a box and you can compare side by side with the equivalent period from last month. With two clicks you can turn this to a Quarterly comparison report. Another useful one is the Pending Sales Report: great for those sales that might come in - but the money hasn't hit the bank yet. In a second you can run a tabular summary report by period - so you can review month on month progress. Remember the whole purpose of any accounts system is so you can retrieve really useful information - to help make better decisions. One of the best features about QuickBooks is its ability to pull out the numbers painlessly. Its ability to track by class or categories is also very useful. The product is suitable across a wide range of business types: financial institutions, pubs, stud farms, builders, architects, graphic design, real estate, credit unions, charities / NGOs - you name it. The online help system (hit your F1 key) is probably one of the best on the market. Intuit claims that QuickBooks is the most widely used small business accounting software package in the world (over 3 million users) and there are over 1500 Professional Advisors in the UK and Ireland. AxonWare has over 9000 QuickBooks users and growing. While other packages may have a good brand name - more and more companies in Ireland and the UK are finding that QuickBooks is a better fit. Do a price and features comparison and decide for yourself. Intuit have priced QuickBooks very aggressively in an attempt to win market share. However this product has a lot of functionality built into it. With QuickBooks you get 30 days free support. We do recommend that you consider buying extended (12 months) support. If you have no experience of QuickBooks or are not very technical we advise taking a support plan. This Intuit annual support plan is provided by Intuit's dedicated customer support team. In addition AxonWare can help solve many problems (either onsite or by phone) at an hourly rate. AxonWare also offers QuickBooks customised training to help you get up to speed. Once again this can be at your location or by phone and web. • Client Data Review: Write off invoices and reclassify transactions in batch (versus individually), easily see changes to account balances on one screen and more — all while multiple users access the same file. • Excel Data Import: You can now save worksheet formatting during export. When you access the report for a new time period, simply update the saved file and all formats will be automatically applied to each new report. • Quick Start Up: Reduces set up steps from 40 to 4 – and includes the ability to import key business information in one click. • Batched Invoicing: Clients can now create an invoice once, then choose which customers get that invoice in a batch - without creating each invoice separately.